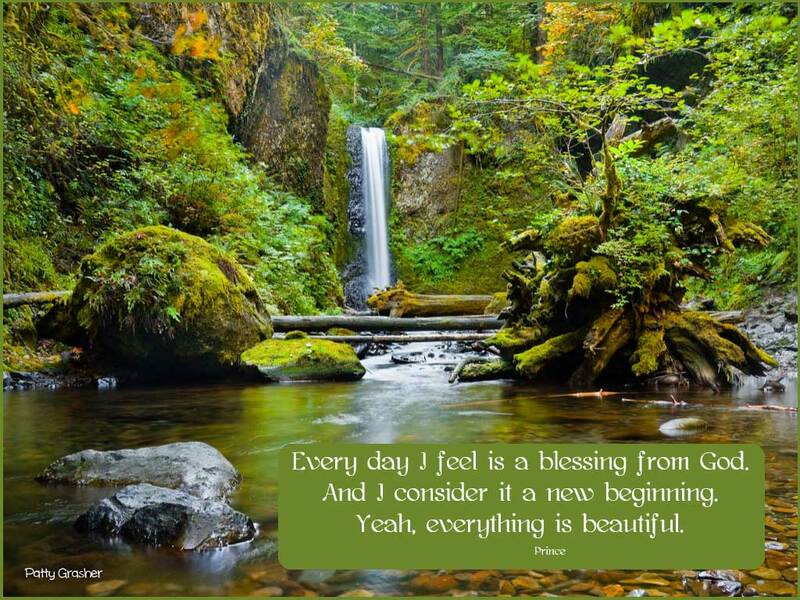 “Every day I feel is a blessing from God. And I consider it a new beginning. The coaching call was awesome. One thing Joan strongly suggested to me was that I narrow my focus on things I am doing. And if I want to promote my puzzle books and t-shirts (I do have a zillion to get rid of) that I focus on that. She definitely thought I should blog but not have two blogs. So my intent today was to stop this blog and to start up one for my Adventure Words website. But that didn’t feel right inside. Because this little blog as little and inconsequential as it is – is what I really love to do. And I thought about it and I prayed about it and I decided ten years from now I really don’t care if I sell all those stupid t-shirts or not – BUT I would like to feel that I helped a few kindred spirits find a bit of joy and fun in each day. Part of this came about because I thought if I was really going to be serious about building a blogging audience I needed to stop being so “reflective” and moody and sharing just how the day is going with me. I mean who cares right? I need to be journalistic. Stand and deliver. Something worth reading. Helping. And so I decided to take Darren Rowse’s 31 days to build a better blog course. And I signed up for it. (Starts tomorrow). And then . . . When I was reviewing his first free course – the first exercise was to find a topic that you were passionate about. And you know what? As much as I love Vancouver and doing the puzzle books and t shirts and selling stuff – it’s not what I’m PASSIONATE about. Because what has really been the whole focus of my life – seemingly forever – is developing a relationship with the spiritual side of life. With God and prayer and loving and helping people. And just because I left the Monastery is no reason I have to drop that side of who I am. And so I have decided that I am going to make this the blog that I will work on for the next 31 days. It may mean that I will get a bit more focused with things here. Not sure what it will look like at the end of the 31 day challenge . . . but I am going to give it a swing. 2. Deciding to make “inspiration and motivation” the theme of this blog. 3. Having a very nice “coke and rum” while I write this. Never had one before. Nice. Hopefully no one will freak out because I am having a drink – but hey – once in a while it is very nice. Oh my Betty, your note is so encouraging! Thank your sharing about your husband’s conversion – that is so cool. Truly – I think God helps us with ongoing conversion through all sorts of people, dreams and circumstances. Nice for me to think I played a small part but of course the real part for your husband’s conversion was you. Well and all those stories! Those converted me too. And about missing something – hmmm – I think sometimes we go into dormant stages like butterflies in cocoon’s. We do it over and over. Big burst of growth – take flight and then back to the cocoon for the next stage. Thank you so much for looking forward to the new direction of this blog. I hope it is a blessing for us all! Wonderful news on the coaching call and the direction you have chosen for the blog . I think it sounds wonderful. Thanks Cathy! How fun to go from meditation to tap to baby girl time. That has got to be as full circle for a day as I can possibly imagine. Nice. Wonderful new defined direction for you, Patty! Congratulations! I am happy for you and looking to see the direction your blog goes. I too wish to inspire people by sharing spiritual insights (and I have a blog along those lines as well) … so we have that in common! Nice to have things in common. I do enjoy your blog and have been reading and following it for a long time. I like the way you blend things together. Business and motivation. Have you seen my newest blog: https://spiritualtoolsforhungrysouls.com/? So glad you haven’t decided to eliminate this Blog. Though I seldom comment, I do look forward to reading your message daily. And I for one, appreciate your sharing not only the good days, but also when things aren’t going quite so well. We all have those days in our life–and helps to see your going on, in spite of what is presently happening. Always feel good when you share a spiritual uplifting that I can adopt in my own life–and hearing about your life in general. Though we never met, you are like family to me, and that really helps since my parents and my five sisters and brothers are gone. Keep up the good work–and thank you for your decision! Thank you for sharing. It helps me to feel I am making the right choice! Whew! I really did come close to taking the coach’s advice but then I just couldn’t drop this because this is just me. Daily blogging (cept for weekends) about big and little things is just how I do – and while I hope that building a more successful blog would be nice – the few friends on this one are indeed like family to me too! So glad you are not going to eliminate this blog. It is so nice to read the messages of someone who writes of the good and bad days. We all have them but sometimes are afraid to admit to them. Your blog is real and relatable. I have followed you since you were in the monastery and in each blog after that. I. also. left the convent but didn’t leave God or His message behind. I enjoy you writing of the sacred and the everyday goings on. Thank you for your decision. Looking forward to continually following you. I would love to make that happen. Hi Pat, It seems we ALL have something in common. We are grateful for you and your decision to continue with this blog for at least your 31 day challenge and it also seems as if we have a strong family/friendship connection to you as far back as your monastery days. And just so you know I look forward to your reflective and moody sharing and your love of baking cookies and having leftover meals, your walks with Jon and your animal stories, your love of reading and your days of just not knowing what to write about. Through all that you make me smile and realize we all have those kind of day. It’s what connects us to knowing we are not alone, even those of us who live alone. You and your blog helped me through the very hard years after loosing my husband, who passed so young and suddenly. Just celebrated his 12th anniversary with the Lord. No freaking out here, enjoy your rum and coke. It is a great drink. About 18 years ago when my children were teenagers I decided to show them by example that drinking wasn’t the only way to have fun. I didn’t want to be that parent that said do what I say, not what I do. So I gave it up. Funny how that turned out, my children are now in their thirties and I don’t miss or want it. I admire your showing your kids by example. Very important. All the time I was in the monastery of course I never drank and then went to rehab and thought I would just stay the course – but I now find a drink or two is nice. I never have more than one though (mostly) as I am aware how drinking can get totally out of control if one is not mindful. keeping you in my prayers for whatever you want to do with your life. God Bless you.